Defence Turkey: Dear Mr. Yenibertiz, first of all we would like to thank you for your time. At the end of 2016 we had a pleasant interview with you. At that time the stand and chalet sales of the organization had not yet been launched and the marketing, introduction and PR field studies were at the initial stages. What type of processes and related activities have taken place since then? Could you please summarize the current situation for us? Since our last interview, we accomplished a “Road Show” in 11 countries from one end of the world to the other within a period of 12 months and we introduced the Eurasia Airshow which is one of the greatest aerospace organizations and explained our goals at appropriate platforms. In a sense, more than the Eurasia Airshow we mentioned our country, our aerospace potential, our accomplishments so far and Turkey’s capabilities in this area. We presented critical data in order to attract them to our country. Up to now, we have accomplished approximately 600 B2B (Business-to-Business) negotiations in our country and abroad and 80% of them have been conducted abroad. We have 12 representatives in charge of 54 countries around the world and I did not include the negotiations they attained in this figure. We can clearly claim that there is no one left in the world in the aerospace industry who has not yet heard of the Eurasia Airshow. Surely, at the end of the day, seeing results is quite important and we are currently working on reaping our harvest. In addition to all of the promotion and marketing activities, we are conducting our preparations in flight, security, slot, parking, safety, construction, etc. mainly with Antalya Metropolitan Municipality, General Directorate of State Airports Operations (DHMI), General Directorate of Civil Aviation and all other relevant authorities. We are also in contact with the institutions and associations of the target countries with the support of the related embassies, commercial and military attachées. We endeavor to gain their support for the participation of delegations and national participation as well as the individual participation of major companies. As of this month, in accordance with our protocol with the DHMI, we will launch the installation activities at the area we allocated at the International Airport of Antalya. Defence Turkey: Mr. Yenibertiz, the Eurasia Air Show will be taking place in Antalya on 25-29 April 2018 under the auspices of the Presidency and with the support of many ministries, institutions and associations. Which ministries, military and governmental institutions will be providing support to your organization within this framework? Could you please share your evaluations with us? Under the auspices of the Presidency of the Republic of Turkey, Eurasia Airshow will be accomplished with the support of the Ministry of National Defense, Turkish Armed Forces, Ministry of Interior, Ministry of Transport, Maritime Affairs and Communications, Ministry of Economy, Ministry of Culture and Tourism, Ministry of Forestry and Water Affairs, Ministry of Health, Undersecretariat for Defense Industries, Undersecretariat of Ministry of National Defense, General Directorate of State Airports Operations, General Directorate of Civil Aviation, Governorship of Antalya, Antalya Metropolitan Municipality and Turkish Airlines. Foreign companies wish to see governmental support in projects of such great scale. In this context, our government’s belief in us and its support and the assignment of this qualified responsibility to us have all been a source of pride for us. Moreover, the participation of high end delegations is seen as one of the most critical success criteria of these types of fairs, and to this end, Undersecretarat for Defense Industries has extended an invitation letter to releated official authorities of a total of 42 countries. Besides, official invitations are being prepared by our National Defense Ministry to the Defense Ministries of the aforementioned number of countries. These official invitations have been sent to the civil authorities of numerous countries by the General Directorate of Civil Aviation under the Ministry of Transport, Maritime Affairs and Communication. This support provided by our governmental authorities is priceless and it empowers us in our negotiations with targeted countries. 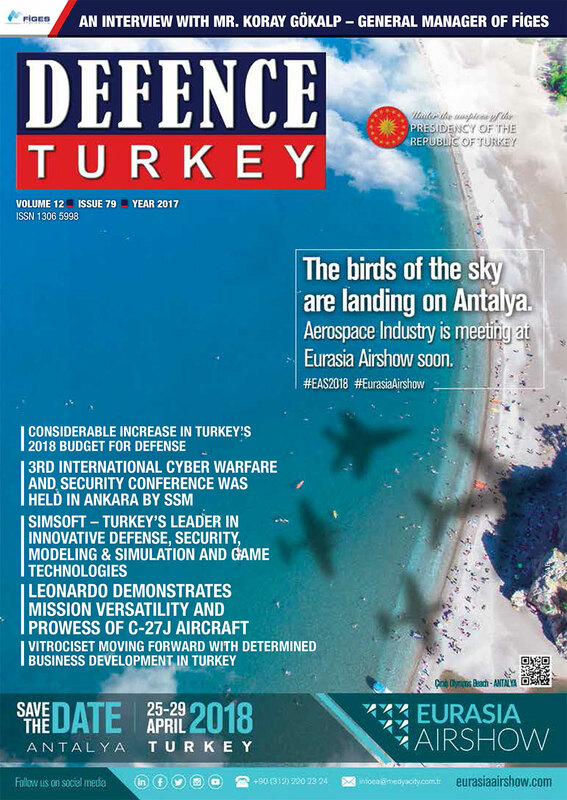 Defence Turkey: Which domestic aerospace companies active in military and commercial areas will be attending the event and with which platforms, products and capabilities? Will we have the opportunity to see especially our national unique platforms and capabilities both at the static area and the flight demonstration area during the Air Show? We pay ultimate attention to enable all our local companies active in aerospace areas, ranging from our major industry to sub industry to show their capabilities in the most effective way. We have companies with completed contracts or with contracts that are about to be completed. Our negotiations on the products to be displayed continue and we will be announcing them as they become finalized. Defence Turkey: Activities have been conducted for a while now by KOSGEB (Small and Medium Industry Development Organization) and TOBB (Union of Chambers and Exchange Commodities) in order to provide support to the local companies that will be attending this event. Could you please inform us on the current status, the amount of the support to be provided and the scope of the support in respect to these companies? In addition to the major players of the industry, we attach great importance to the participation of the Small and Medium Scaled companies in the Eurasia Airshow and their demonstration of capabilities. Having said that, in order to enable our companies to introduce themselves to the world and extend their business volume through new contracts, we applied to the domestic event support of KOSGEB and our event has been included in this scope. If the Small and Medium Scaled companies achieve the required criteria, the stand areas of a total of 1,250 square meters will be supported by KOSGEB and within the scope of this support, our companies deemed suitable will be able to take part at this area. Our minimum support area for the companies achieving the required support criteria will be 50 square meters and the final application date was identified as 18 April 2018. Moreover, we have gained the support of the Procurement Committee of the Ministry of Economy. With this support, a government supported negotiation will be achieved by inviting our companies with products of export potential and the purchaser and decision makers abroad to the Eurasia Airshow. In addition, the Eurasia Airshow has arranged its part within the event schedule of TOBB for 2018. Defence Turkey: Mr. Yenibertiz, local and foreign subcontractors and main contractors active in aviation/aerospace and space fields will be gathering at this event. One of the areas drawing significant interest is curiosity about the attendance details of international delegations, the activities conducted by the Ministry of National Defense and the Undersecretariat for Defense Industries. What would you like to share regarding these topics, as well as details about confirmed participation of official delegations? The Eurasia Airshow gathers global and regional players of the sector active in commercial and military aerospace industry. We will be bringing together Turkey’s capabilities and powers with the whole aviation aerospace ecosystem; from the airlines companies to engine manufacturers, from parts suppliers to cargo supply chain, the shareholders of the industry related with the military platforms, certification systems, airport projects and airport management. I can say that no matter how important it is to gather these players of the aerospace industry, just as in the defense industry, the existence of the governmental representatives and decision makers in this organization is also amongst the most critical criteria. In order to actualize such official visits, the official invitations need to be summoned to relevant authorities. To this end, invitation letters are being sent to worldwide counterparts with the precious support of the Ministry of National Defense, Undersecretariat for Defense Industries, General Directorate of Civil Aviation and Turkish Airlines. The replies to the aforementioned official invitations are being officially collected by the Ministry of Foreign Affairs and we have received the most rapid replies from Thailand, Algeria and the United Kingdom. We aim to have all of the replies collected by the end of February. We expect the participation of 100 - 150 VIP delegations from at least thirty countries. Defence Turkey: One of the most significant brands of our country, Turkish Airlines, has become the main partner of the Eurasia Airshow. Within the context of the Turkish Airlines CEO summit, a special summit in which the CEOs of the Star Alliance member International Airlines is expected to participate, it will be held as part of this organization. What type of an organization is being planned within the scope of the THY CEO Summit? As Turkish Airlines is the Main Partner of the Eurasia Airshow, and our country’s brand value is a source of pride for us, at the same time it assigns a critical responsibility to our organization. We plan to achieve a breakthrough at the Eurasia Airshow. We are inviting the CEO’s of 27 Star Alliance member airline companies to the “Turkish Airlines Airlines’ CEO Summit” at the Eurasia Airshow with the support of Turkish Airlines. This summit, in which the topics such as world’s developing airway networks, the 3rd airport of which the first section is planned to be launched this September in Istanbul, and the future of airline transport, will be examined and it is of great importance for the airline companies and suppliers and we are very excited about this. In addition to the “Airlines’ CEO Summit”, we are organizing a Golf Tournament with Turkish Airlines partnership and we will benefit from the vast experience of Turkish Airlines in this area. As you know, the aerospace industry network is highly interrelated with golf and Antalya owns one of the world’s most beautiful golf courses and hotels. Thus, the Eurasia Airshow will bring together these three components. Defence Turkey: Russia’s crucial Military and Civilian aircraft manufacturer Sukhoi Company will be one of the companies to demonstrate its air vehicles at the Eurasia Air Show. Which air platforms are planned to be displayed at the static area in this context? Moreover, will we witness flight demonstrations of Sukhoi air platforms throughout the event? Sukoi Company is one of the giant worldwide companies with headquarters in Russia and, for the first time, they will participate at such a large scale in respect to both the platform and event participation in Turkey. 10 military & civil air platforms and one Supersonic Business Jet project are being conducted within the auspices of Sukhoi. Within the scope of this fair, the companies are deciding on which products to display after running certain operational evaluations. The air platforms to be demonstrated by Sukhoi is still a surprise, yet our expectation and our attempts proceed in the direction of SU-80 and SU-100. We will absolutely share the final decision of the company’s representatives with you. 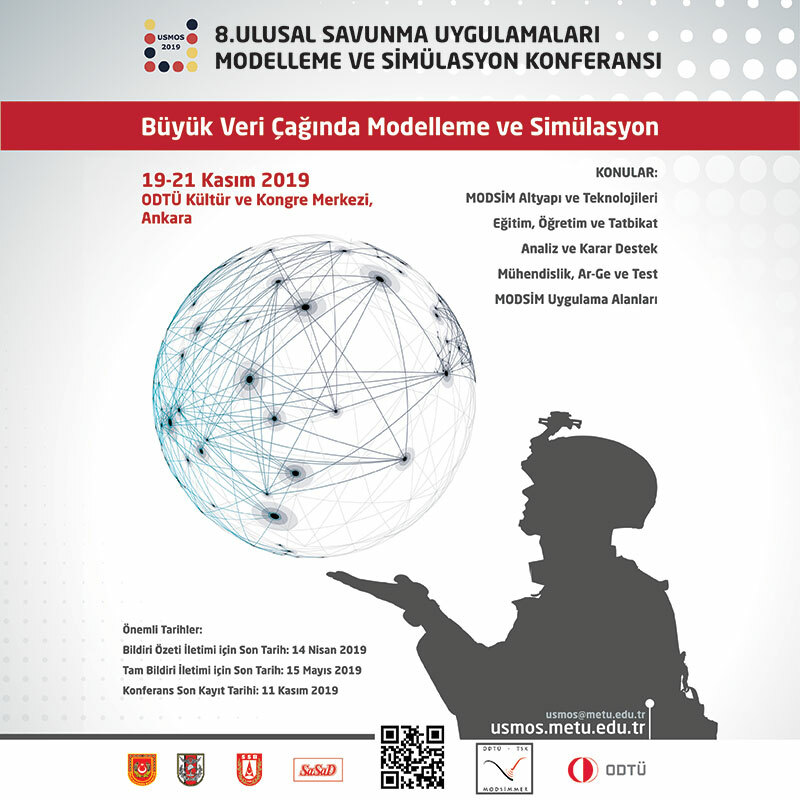 Defence Turkey: In addition to aviation and space global giants such as Sukhoi, which international aerospace giants, that are active at in manufacturing military aviation & space, civilian and commercial aircrafts and business jets, will be attending the event at the chalet level? Could you please update us on confirmed and ongoing negotiations? At the Eurasia Airshow, we will not only demonstrate our capabilities in aviation but also aim to put Turkey’s importance in this region into forefront. With the new airport built in Istanbul, the world is aware that Turkey will become a HUB in this region particularly considering cargo transportation and they have been investing in this direction as well. When this new airport is launched in Istanbul, it will have a cargo capacity of 2.5 million tons. Hong Kong, with its 4.5 million tons of cargo movements remains the leader in this area. When all its phases are completed, Istanbul’s new airport will bear 5.5 million tons of cargo capacity. At the initial stage it will have the capacity for 90 thousand passengers and when the project is entirely completed it will be providing services to 200 million passengers. A space allocation agreement valued at approximately €250 million has been signed with merely 6 companies for the Cargo and Ground Services Campus. On the other hand, Turkish Airlines expressed its intention of placing an order of 25 Airbus 350-900 aircrafts and 20+20 Boeing 737-900 Dreamliners. In light of all these developments, all major players attending the Eurasia Air Show will seize the opportunity of closely observing Turkey’s goals and development as well. We are about to shake hands with world giants such as Airbus, Antonov, Boeing, Honeywell, BAE Systems, Bell Helicopters, Dassault, GA Telesis, GE Aviation, Raytheon, Rockwell Collins, Rolls Royce, Rosoboronexport, Sukhoi, Thales and Lockheed Martin. During all our negotiations with the aforementioned companies, we are intensely working on building scenarios and rationally defining why they need to take part in this event by studying all the existing and potential business opportunities in the region, Turkey being in the first place. Defence Turkey: Which type of a participation rate do you anticipate when you analyze the participation of the aerospace companies active in the defense industry, commercial aircrafts and business jets manufacturers and the commercial airline companies in the fair? In our former interview, you mentioned that 60% of total participation is planned from abroad and 40% of it would be composed of companies from our country. Could you evaluate the current status for our magazine? In organizing Eurasia Airshow, our main objective is to show the potential of Turkey and its region in aviation to the world. European and American manufacturers and participants easily reach and meet each other at any of the events in the world. At this point, we plan to make the Eurasia Airshow a business development platform beyond a fair that gathers west and east. To this end, our initiations continue in a total of 54 countries with our representations. We can say that the current status proceeds according to this figure. Defence Turkey: One of the points of interest is the platforms to be displayed at the static area. In order to increase commercial business volume, commercial aircrafts and business jets absolutely need more display exposure at air shows. These events offer critical opportunities for countries to demonstrate their military capabilities and technologies as well as a chance to reveal new generation platforms. Within this context, what kind of an arrangement can we expect to see for the static area? Surely, the static display areas are amongst the most critical points, the heartlands of the aviation events. As you know, the air platforms to be displayed at these static areas are not finalized until the very last moment, various changes may occur due to deciding on which aircrafts are to be expected on the ground on those dates, operational plans, etc. We have a team composed of 11 colleagues merely working on this side of the operation. Air platforms in various scales will remain at the static display area. Moreover, we have been exerting great efforts in order to position the aircrafts and jets standing out with their characteristics concerning size, model, etc. I may claim that displaying the following aircrafts and jets is among our greatest objectives; for instance AN-225, AN-170, AN-148 from Antonov series, 778, 777 and 737s from the Boeing family, the A 400 M, A-380, A-350,A-330, A-320 from the Airbus family, the SU-80 and SU-100 from the Sukhoi series as well as we are eager to host the F-35 JSF at the static display area. During the fair, we also plan some surprises, such as aircrafts with striking coatings. Defence Turkey: One of the most crucial and part of the Airshows is “flight management”. What type of planning is occurring regarding this integral aspect of the event? Could you please elaborate on the team that has been created for flight management and also share details about the preparation process? When we decided to hold the Eurasia Airshow, in order to successfully accomplish the one of Air Show’s most critical processes, the “Flight Management” stage, we got in touch with certain groups from United Kingdom and France that have been achieving flight management for centuries. We learned a lot from them throughout this process. However, it was very obvious that we also needed a local team that will be able to share the same feelings with us while accomplishing such a grand air show in our country. Thus, we became familiar with OTAKU aviation during this process. Within our Flight Management team, we have an expanding team of 11 staff who are only concentrating on this process. In addition to the execution of foreign correspondence, this team has been working diligently on editing the flight demonstrations from scratch which will be realized throughout five days, with time & slot adjustments, the NOTAM processing with the air navigation department at the DHMI and the safety of parking position, etc. We can regard Flight Management itself as a production. In this process, we are receiving consultancy from the Irish Perttu Karivalo (Flying Display Director) with a great reputation in this area having worked in major aviation events for years as well. Defence Turkey: Without doubt, when the term Air Show is mentioned, flight demonstrations, demonstration teams, military aircrafts and helicopters immediately come to mind. Could you please inform us about the confirmed flight demonstrations and also share a bit about the ongoing negotiations to this end? Realizing an Air Show concept in Turkey through the Eurasia Airshow is our greatest target, actualizing a fair at a location is not a very difficult thing to achieve but when you intend to do it in the air, you initially need to take care of the safety issues. At this point, I am envisioning five days for developing particularly the youth’s perspective of aviation and enabling them to experience an atmosphere where they will be able to touch the aircrafts and jets which they would not be able to see beyond the internet, while building a process in which they may decide to be involved in this industry with high added value. Hereby, I would also like to state that within this context, invitation preparations for reaching the youth in the relevant institutions and associations are being held over the Ministry of Education to the Governorships of 81 cities in Turkey. Our written correspondence with the 7-8 countries which we plan flight demonstrations continue as well, they all have certain schedules and we work on taking part in these schedules. Regarding Military Solo Jets once again with our source of pride SoloTürk our negotiations on inviting MIG-29 jet from Poland, Gripen from the Czech Repubic, Su-35 from Russia, Eurofighter from the United Kingdom and F35 JSF from Italy to the flight demonstrations continue with the parties. Besides, not only these breathtaking flight demonstrations exist in our schedules, we also wish to make an organization in which the fans will seize the opportunity to meet the pilots and teams. Defence Turkey: There will be an attempt to set a record at the Eurasia Air Show that we have rarely experienced during former airshows. Could you please touch on the Wingsuit World Record Attempt project? The Eurasia Airshow will be the first in Turkey while also being the center of breakthroughs in Turkey as well. We plan to break five world records throughout the event. Cengiz Koçak from the Turkish Air Sports Federation is a brave friend of mine full of quite interesting ideas and I would very much like you to meet him at the Eurasia Airshow. He provided me with details about this project as soon as he heard of the Eurasia Airshow and we gladly embraced his project. Within the scope of the Eurasia Airshow Wingsuits World Record Project, we aim to set the first record through performing a jump out of the aircraft at 40,000 feet of altitude with the wingsuit and at this stage we are expected to be break the second world record by covering over 30 km distance of horizontal range in under 571 seconds. Moreover, we aim to add a bit of show in the plan. Throughout this demonstration a SoloTürk will accompany Cengiz Koçak. Without doubt a risk plan is required for this and it will be built and required permits will be acquired. We are currently working on them. Our other record will be performing a live concert in an aircraft at the highest altitude. 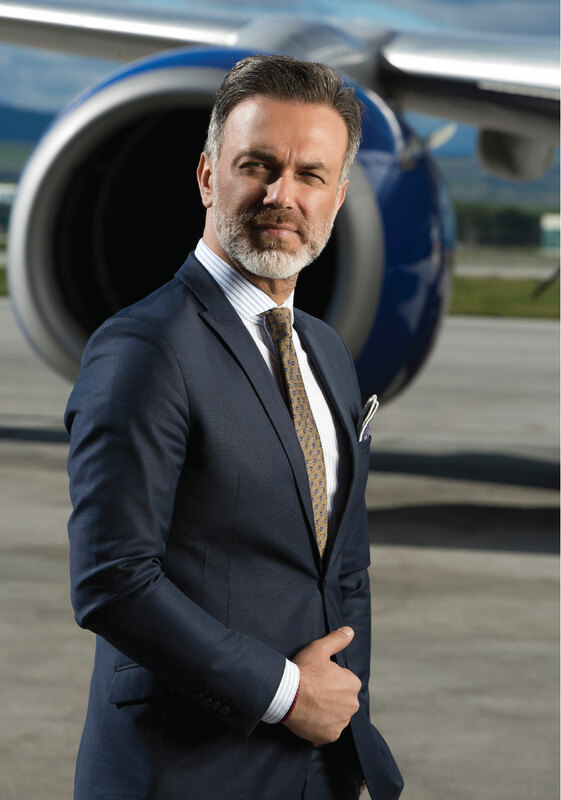 Oğuz Sırmalı is well recognized and popular name in the aviation industry. He also has a video clip with the Turkish Stars team as well as a flight-minded skilled tenor. We are planning to give an exclusive concert in-flight over the 42,000 feet, we will be simultaneously breaking the world records of live concert, audio recording and video recording. The idea of the pride and joy that we will undoubtedly experience while watching these performances from giant screens as these records are being set already excites us. Defence Turkey: As the Eurasia Air Show will be taking place in Antalya, which is the center of tourism and entertainment, surely fun activities and different organizations will also play an active role. Within this context, you’ve planned an international golf tournament and a magnificent concert where world-famous stars will be attending. What are the recent developments on this? The Turkish Airlines Golf Tournament is currently under the approval stage of the Board of Turkish Airlines. We will be announcing it as soon as it is signed. We have in our program the intent to bring a world class star to Turkey, but of course such people have certain tour schedules and we continue working on the artists who would be around this region in April. Defence Turkey: Mr. Yenibertiz, what are your expectations for commercial business volume resulting from this organization? In addition, could you please discuss your vision for the upcoming period in this regard? As the Eurasia Airshow, we are accomplishing the greatest organization of the history of our Republic, in respect to the added value which will be provided to our country. Taking into consideration the contracts to be signed in commercial and military aerospace industry, potential aircraft procurements and aircraft orders throughout the event and during the year, in addition to the financial contribution to our country via the accommodation and transportation expenses of thousands of foreign visitors and their social activities, we aim for the Eurasia Airshow to achieve a business volume of $40 billion. We will be gathering the worldwide major players of the aerospace industry. Defence Turkey: Finally, would you like to convey any messages to the readers of Defence Turkey? I hope that the people of this country, especially the decision makers and the major brands in the aerospace industry would grasp the main goal of this project and proceed accordingly. This project has reached such a point that it became the project of the country instead of an individual’s project. Therefore, one has to exert effort and spend money in order to achieve a grand project. Why do we collaborate with major agencies, why did we allocate such a great budget or why do we endeavor to use all the channels of social media? These aspects are essential toward expanding the awareness. They are achieving such extraordinary things and the foreigners find all the institutional and creative image activities quite elegant. They express that we are well prepared, the objectives have been defined well and that they believed in us and trust us. Hearing such things from foreigners is great. Within the same context, I wish that all the institutions and individuals in Turkey become a representative, a narrator of the Eurasia Airshow as it is not merely my project; instead we are tools and representatives for the execution of this project. At the end of the day, our country will be gaining from this achievement. We perceive this organization just as ‘business’ yet it is a quite effective factor in respect to increasing our country’s recognition. The Ministry of Culture and Tourism and Antalya’s local administration are quite aware of this and they are giving us maximum support. We are creating Turkey’s second global brand after Turkish Airlines in the aerospace industry. We imagine reaching a point where people would wear caps and t-shirts with the Eurasia Airshow logo and an organization to which people would look forward to, eager for the next event. You cannot imagine the quantity of e-mails and messages sent from volunteers all over Turkey. Currently we are signing one of the greatest signatures for the future of the aerospace industry in our country. At this point, without a doubt the feedback, experiences and criticism from you and your approach of “Would it be better if we do it in this way?” will be essential for us. Surely, we strive to achieve the best; still we are open to all types of criticism as well.